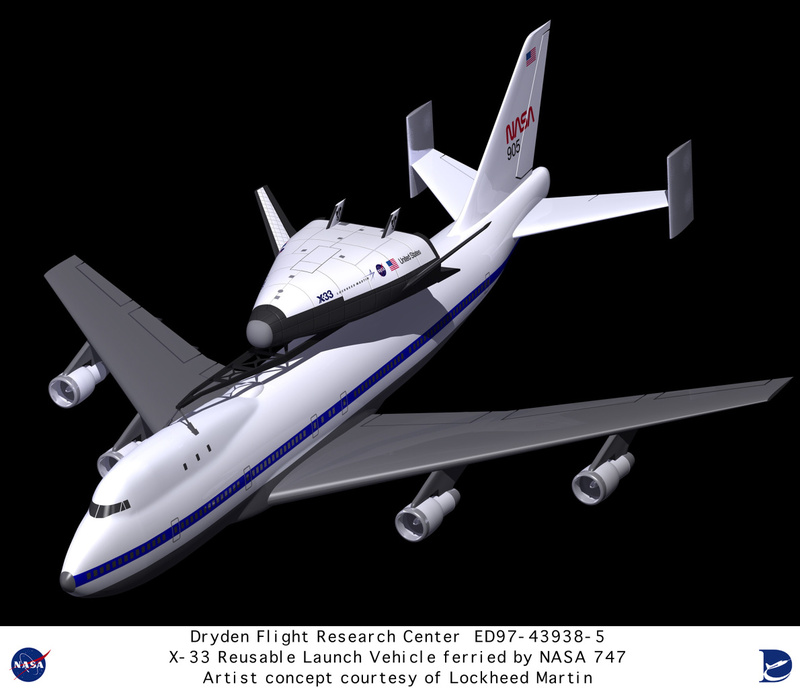 Description: This is an artist's conception of the NASA/Lockheed Martin X-33 on the back of a modified 747 airliner. This was a proposal means to move the X-33 from a landing site back to NASA's Dryden Flight Research Center, at Edwards, California. Description: The X-33 was intended to be a technology demonstrator for the development of a single-stage-to-orbit Reusable Launch Vehicle (RLV) called the "VentureStar. The RLV technology program was a cooperative agreement between NASA and industry. The goal of the RLV technology program was to enable significant reductions in the cost of access to space, and to promote the creation and delivery of new space services and other activities that would improve U.S. economic competitiveness.